Welcome to The Felting and Fiber Studio Online Classes! We will be offering a variety of felting and fiber art online classes in a forum format so that you can learn a new skill or even improve your felting or fiber art skills. Each class will be offered on a set date and last for a prescribed number of weeks. Each class will be accessed through an online forum and daily access to the instructor to ask questions and also to interact with other class members. The classes will include supply lists, PDF learning material and some will also include videos. The classes will not be “live” and class information can be accessed throughout the class dates at any time. But the most important part is the class forum. This forum will include only the instructor and the students for that session and the daily interaction will allow for a wonderful added learning experience compared to just buying an e-book or self guided course. A PDF will be available to learn about the use of the forum before the class begins so that students will have time to familiarize themselves with how to navigate the forum format. You’ll find lists of the courses currently on offer in the drop down Menu. Each course will have its own page with all the relevant information and start dates. Some of the courses will be repeated during the year, and new ones will be listed as and when they become available. 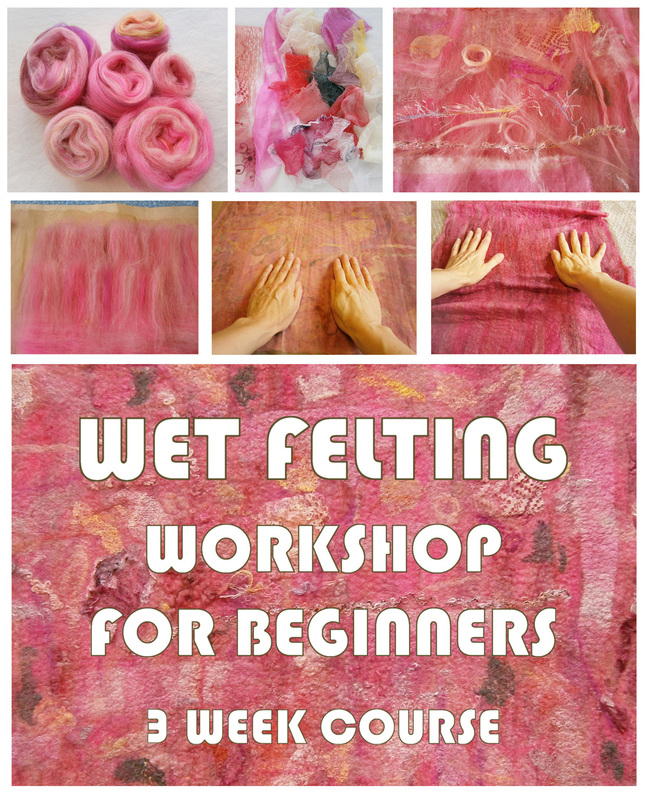 See more information about Wet Felting For Beginners.